Put a modern spin on the classic pearl necklace with this toggle clasp piece! 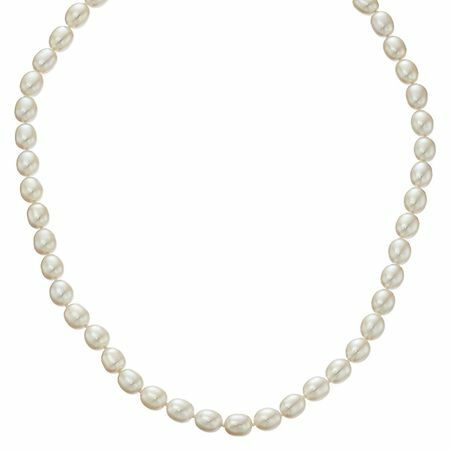 7-7.5 mm white freshwater cultured pearls are strung next to one another for the classic strand look and feature a sterling silver toggle clasp. Piece measures 18 inches in total length.